After the 2004 Asian tsunami, Dasra was approached by American Jewish World Service (AJWS) to implement tsunami recovery programs in the state of Tamil Nadu, India. The AJWS model is different from other global development organizations because AJWS does not run any of its own projects or relief efforts. Instead, AJWS gives grants and strategic assistance to grassroots organizations working in a variety of areas including community response to conflicts and emergencies. While other organizations helping tsunami affected communities focused on immediate relief, AJWS gave Dasra five years to assemble a team of partner grassroots organizations to create and implement rebuilding programs. Along with our partners, we designed a variety of programs that would mobilize and empower communities to take charge of their own development. The common thread throughout these innovative programs was the use of community exchange programs to empower teaching and learning communities. When we began tsunami reconstruction work in 2004, we were focused on disaster mitigation and rebuilding. In the process, we have been amazed to learn how effective and low-cost community exchanges can be for many types of community development. Ultimately, we have seen communities in Tamil Nadu use community exchanges not only to rebuild, but to thrive even beyond pre-tsunami levels. These community exchanges foster partnerships within communities that were historically disconnected. We have frequently seen community exchanges begin a paradigm shift in local community structures and outlook, creating impact that will stay with communities long after funding is depleted. 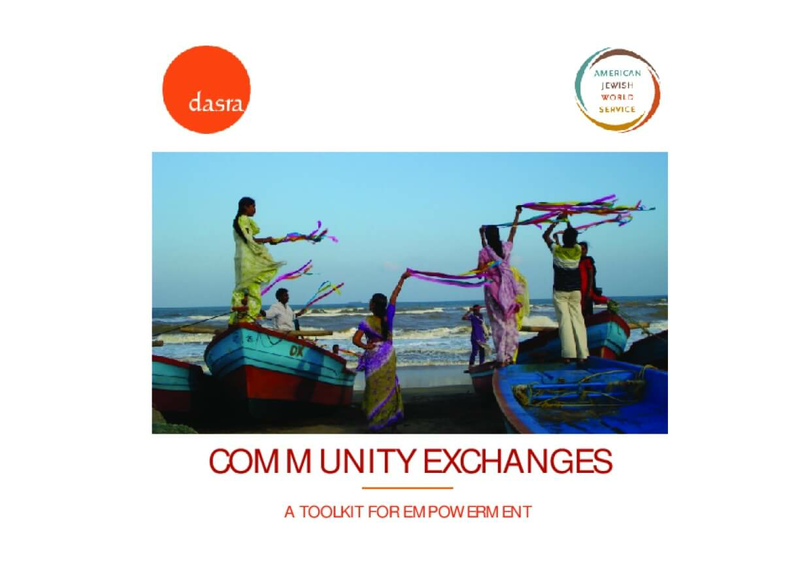 After witnessing the potential of community exchange programs in Tamil Nadu, we decided to create this toolkit to break down what we have learned and inspire you to try a similar intervention in your own community. Copyright 2013 by Dasra. All rights reserved.